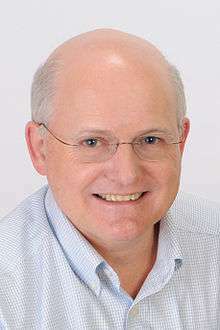 Charles Eric Leiserson is a computer scientist, specializing in the theory of parallel computing and distributed computing, and particularly practical applications thereof; as part of this effort, he developed the Cilk multithreaded language. He invented the fat-tree interconnection network, a hardware-universal interconnection network used in many supercomputers, including the Connection Machine CM5, for which he was network architect. He helped pioneer the development of VLSI theory, including the retiming method of digital optimization with James B. Saxe and systolic arrays with H. T. Kung. He conceived of the notion of cache-oblivious algorithms, which are algorithms that have no tuning parameters for cache size or cache-line length, but nevertheless use cache near-optimally. He developed the Cilk language for multithreaded programming, which uses a provably good work-stealing algorithm for scheduling. Leiserson coauthored the standard algorithms textbook Introduction to Algorithms together with Thomas H. Cormen, Ronald L. Rivest, and Clifford Stein. Cormen, Thomas H.; Leiserson, Charles E.; Rivest, Ronald L. (1990). Introduction to Algorithms (first ed.). MIT Press and McGraw-Hill. ISBN 0-262-03141-8.